Sharpstar is a Chinese brand of astronomical telescope and accessories. Their products have a very good price vs. quality ratio. Sharpstar manufacturing includes very good apochromatic refractors such as 80, 90, 107 and 140 mm triplets, 71, 86 and 100 mm quadruplet astrographs and much more. 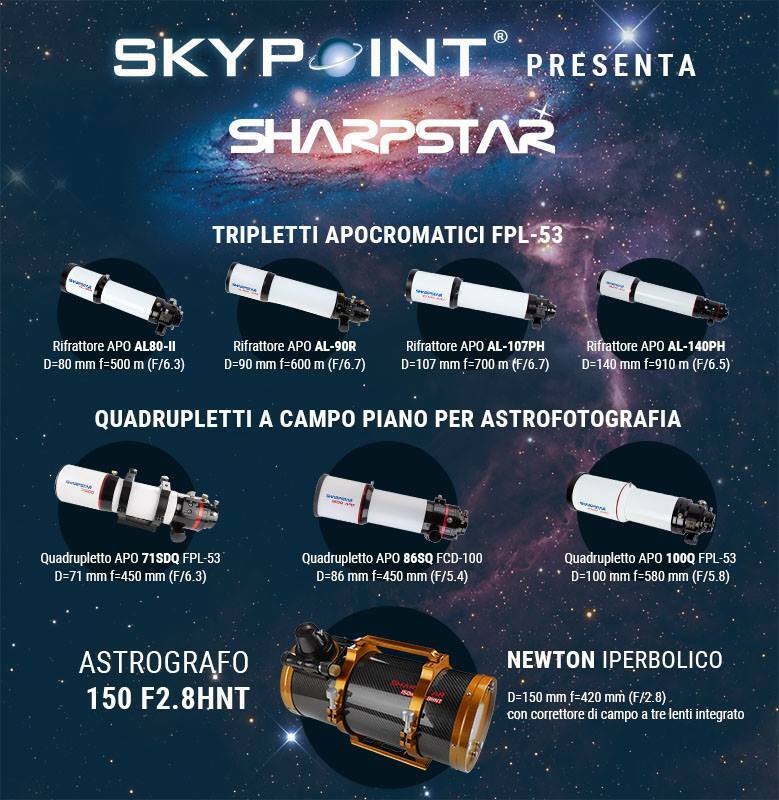 Recently Sharpstar entered the market of newton astrograph equipped with high performance correctors. The photographic vocation of the brand is apparent.